From Political Violence to Negotiated Settlement has as its starting point the strategic shift on the part of both loyalist and republican militants that became obvious in the mid-1990s. 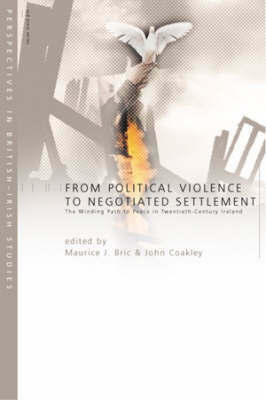 In both cases, political violence was foresworn in favour of a new strategy of inter-group bargaining and compromise. The political standpoints have deep historical roots, and this book examines them systematically. It brings together Ireland's leading specialists in the area - drawn from historians, political scientists and sociologists - and seeks to provide historical depth to the debate about contemporary paramilitary violence. The book is structured along a mixture of chronological and thematic lines, starting with an analysis of the circumstances at the beginning of the twentieth century that brought the issue of violence as an agent of change to the centre of the Irish stage. This is carried further by means of an analysis of the perpetuation of lessons learned in the pre-1922 period for subsequent political development, and by more detailed studies of the interplay between strategies of violence and the parliamentary path on the unionist and republican sides. The contemporary relevance of the issues raised is underscored in a contribution from the chair of the arms decommissioning body.